As we’ve reported, #KanyeWest is in Uganda along with his family, #KimKardashian and #NorthWest, as well as some friends such as #BigSean. 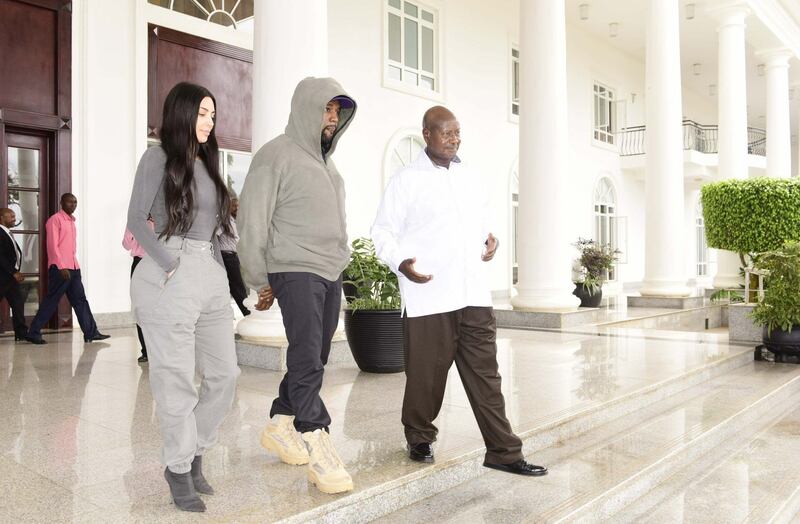 While there, #Kim and #Kanye met with Ugandan President, Yoweri Museveni, and he apparently didn’t know what on earth Kim does for a living. Perhaps the president was more familiar with Kanye? Or neither of them as he referred to them both as “American entertainment stars” in a tweet. Kanye gifted both the president and some Ugandan children with a pair of Yeezy’s each during his trip!